This blog has been contributed by Keisha Greaves, owner of the "Girls Chronically Rock" t-shirt line, located in Massachusetts. While I work as a Merchandise Coordinator for Tommy John’s Men’s Underwear, my main passion is a t-shirt line that I own called “Girls Chronically Rock.” I wanted the name to have the word “chronic” in it and I wanted to create something to help inspire women like myself to let them know that “we rock” — no matter what we may be going through. We can accomplish and do anything that we put our minds to. I wanted to create this line to help inspire not only women with chronic illnesses, but to also inspire women in general by helping them to feel confident, motivated and empowered. I always knew that I wanted to be a business owner because I never liked the traditional “office setting” and could never keep still sitting at a desk. 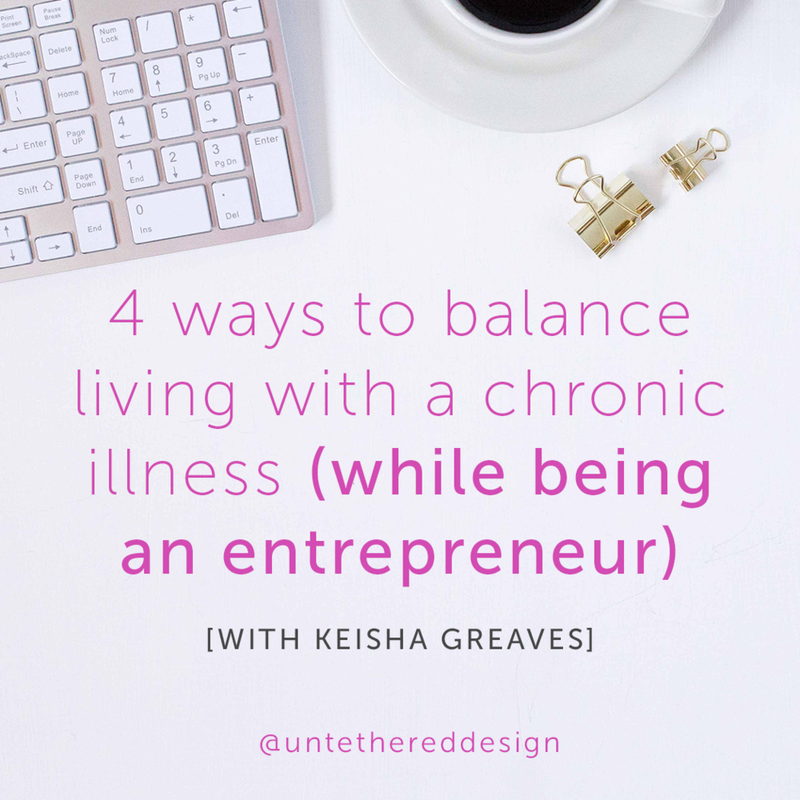 While creating my t-shirt line, I wanted to create a business where I can work from home managing my own hours — something that I can eventually build into a major empire later — because I never know what will happen in the future with my chronic illness. Although it is a new business, I am still trying to figure out how to market it while attending different networking events — because I realized that networking is key. Although I also still work part time at my other job, I can still work my own hours there, too, which helps give me the flexibility that I need in running a business on the side. In the future, I would like to invest in other ventures that I have in mind and have my t-shirt line be my full-time job. Once my business begins to grow, I plan on having some of the proceeds go towards the Muscular Dystrophy Association. In 2017, I was announced as the Massachusetts Muscular Dystrophy State Ambassador. I knew that this would be a good experience for me, as I would be able to bring awareness to the Muscular Dystrophy Association and it would also give me the experience of speaking at different events — talking about my everyday life living with Muscular Dystrophy and connecting with other companies and people to help raise money for the organization. Most recently, they asked me to be the 2018 Muscular Dystrophy State Ambassador as well! I have some new plans for incorporating and blending my t-shirt line into the work that I do for the association. I keep telling myself: “Never give up on your business” and “Keep going no matter what. Even if you feel down and not energized, it will all still be worth it in the end.” I know that it’s important to network with other business owners and get all of the advice that I can. I plan to connect with local boutique stores and expos to help promote my t-shirts. I also realize that following up with people is key so that they don’t forget about me — like leaving them a message after I meet them at an event. While juggling a chronic illness and owning my business, I realize that eating healthy is very important — it makes me feel good. I also try to exercise and squeeze in some physical activity every other day because it gives me more energy and focus. Not always knowing what the future might hold for me, I try to stay motivated, focused on my future success and the financial goals that I have set for myself for the next few years. It's 2018 — how is your branding looking? Would you like to give it a bit of a makeover or refresh? Do you have a logo, website and more that you absolutely love…or…not so much? If you’re not a design professional, branding might be something that you don’t love to do for your business or you simply don’t have time for, so let someone else take over! Sign-up below to receive the link to download my free PDF tool “Branding 101: What it is, what it isn’t and why you need it” — right now! This quick and simple guide will walk you through why it’s important to establish consistent and memorable branding within your biz — and if you can DIY some of it or if you should hire that professional. If you have any questions after going through it, let’s connect and chat some more! This time of year, many business owners take inventory of how they’ve spent money over the past 12 months. Were you penny wise and dollar foolish? Were you the Santa Claus of cash flow, or Grinch like? Let’s face it; if your business is not producing a profit, you won’t be around very long. Mastering cash flow at any business stage is essential to remain viable. 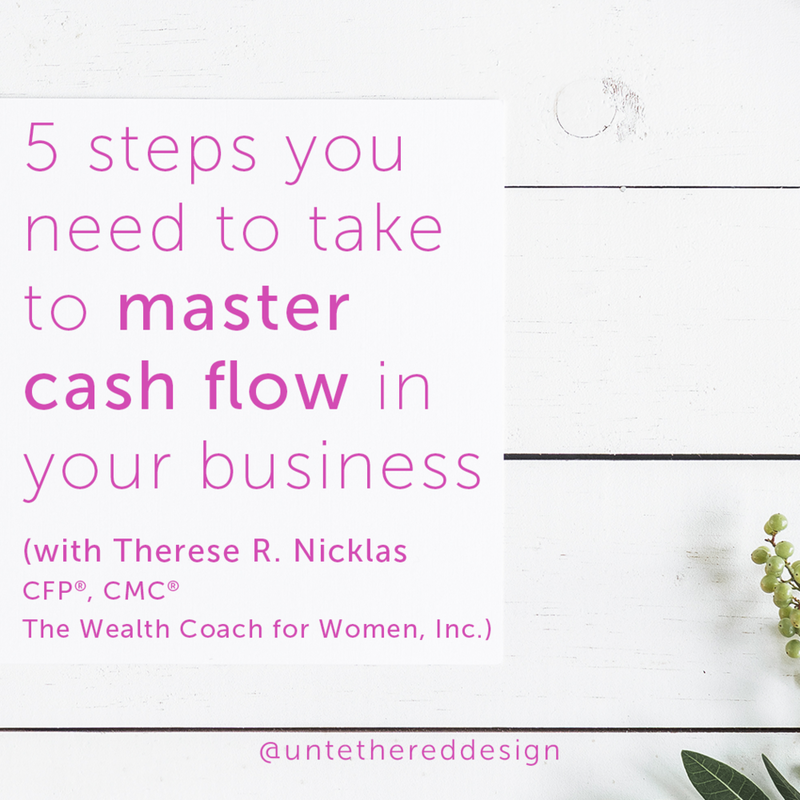 Here are 5 steps you can take to master cash flow in your business. a. Cell phone plans. Carriers compete based on price and benefits. Take a few moments to evaluate your plan’s monthly fee and plan design. Compare it to the competition. I did this recently and reduced my monthly fee — and got a better plan design! b. Internet, cable. Same as above. c. Landline services. Do you still need them? If you do, look around for alternate plan designs. With all of the options available (VOIP, traditional, etc.) you might be pleasantly surprised. d. Equipment leases. Is it time to negotiate a better contract? e. Subscription type services. Take a look at the things your firm has set to auto-pay. Are they all necessary? f. Memberships. Look at the costs for association-type dues, like chamber of commerce, industry associations, etc. Are you making good use of the membership? If not, it might be time to cancel. 2) Employee Head Count – do you have enough staff? Look at what you are doing on a daily basis. What could be delegated to someone else? As the business owner, you should be spending 80% of your time working ON the business, not IN the business. Your roles should entail all of the things that no one else can do. Everything else should be delegated to someone making a lot less money than you. 3) If your company needs to generate more revenue, take a look at your “low hanging fruit." What services or products do you sell that are easy to move? How much more do you need to sell to get the cash flow you need? Sometimes, it just takes a minor adjustment and focus to get sales to the needed level. 4) Employee Benefits – have you reviewed your benefit package? Maintaining a cutting edge benefits package will help your firm retain and attract top talent. An annual review of what you are offering, the cost and benefit design is recommended. Having your benefits set to “auto pilot” can become an expensive error. 5) Salaries – are you competitive, too generous (Santa Claus like) or do you undervalue your talent pool (like a Grinch)? Being in alignment with industry standards can actually save you money in the long run. There is a real cost to hiring and training replacements. If you stop and calculate what it would cost your firm to replace your top talent, you will probably find a bonus or raise to that employee will be less expensive. THERESE R. NICKLAS is a CERTIFIED FINANCIAL PLANNER™ and Certified Money Coach®. She specializes in helping successful female entrepreneurs handle the financial fallout after a big lifestyle change (like divorce, career, loss of loved one, etc.). She does this by teaching smart money strategies that help her clients feel confident about their financial future. As a Certified Money Coach®, she identifies unconscious patterns, beliefs and behaviors around money that prevent clients from reaching their full potential. Money Coaching helps identify money blocks and shows how to push through them. Clients experience much greater personal satisfaction, increased abundance, and enhanced success in life. Helping clients plan their future while enjoying the present is not a profession, it is a calling. When she’s not working, Terri enjoys spending time with friends and family, travelling, cooking and hiking with her grand-dog, Jackie. The Wealth Coach for Women Inc.® (“WCFW”) is a registered investment adviser offering advisory services in the State of Massachusetts and in other jurisdictions where exempted. Registration does not imply a certain level of skill or training. All written content on this site is for information purposes only. Opinions expressed herein are solely those of WCFW, unless otherwise specifically cited. Material presented is believed to be from reliable sources and no representations are made by our firm as to another parties’ informational accuracy or completeness. All information or ideas provided should be discussed in detail with an advisor, accountant or legal counsel prior to implementation. I’ve learned A LOT of various things over the last year and a half of running my business solely and full-time. I could write a blog post covering 15+ lessons right off the top of my head at this moment, but I will save that for another day. Today, I want to talk about something important that you absolutely must keep in mind as a business owner, regardless of what kind of business you run. Creative or not, big or small, it doesn’t matter. This is something that I saw Oprah recently talk about on TV, around the idea of being a “people pleaser” – which I am also guilty of. 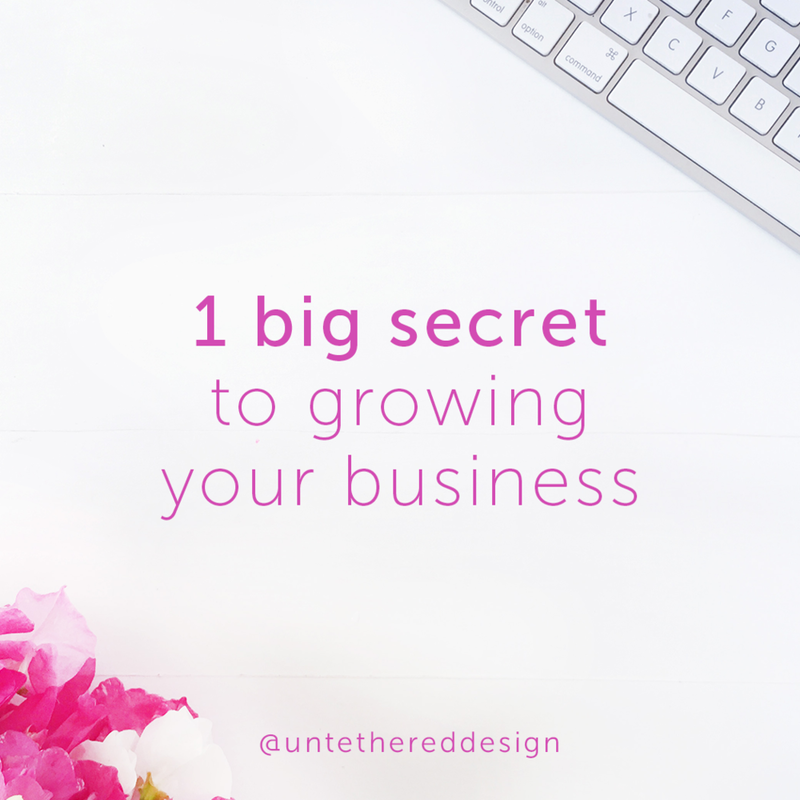 Plain and simple, want to know a secret that will help your business grow (and you grow as a person)? You can’t be everything to everyone. And, you shouldn’t have to be. There are not enough hours in the day. Many people really thrive off of making others happy. While that isn’t always a bad characteristic, it can truly hinder the growth of your business at the end of the day. As business owners, we are pulled in many different directions all day. We are answering emails, taking phone calls, hopping on video conferences, finding time to squeeze in paying client work — while also finding time to create content and manage our own business development. Add it all up and you can have a very productive but also mainly exhausting day. With the distractions that come daily and the various platforms of communication that we are surrounded by, it’s easy to just keep saying “yes” to people. “Yes” to that project that you really don’t have time, for someone who isn’t your ideal client. “Yes” to that quick favor that is supposed to only take a few minutes of your time and ends up taking two hours. “Yes” to that meeting that you don’t have extra time for in your schedule tomorrow. You know what I’m talking about! Don’t get me wrong. I say “yes” to things and people all day long. I don’t want you to think that you have to start being cold and a jerk. I just mean that when you fill your day with “yeses” that aren’t going to get you any further in your business or even as a person, you won’t have enough energy or time left in the day to take care of the necessary tasks that really matter. So, weigh your options. Say “yes” to (and I’ve seen this as a quote before) things that make you money, make you happy or make you better. Be mindful and respectful enough of yourself and your time to not agree to everyone and everything. When you spend your time where it really counts, you’ll be able to grow your business because you’ll be more focused. I’ve learned that you will ultimately gain more respect from others when you say “no” because they’ll see that your time is valuable and that they can’t take advantage of it or you. Give it a try. If it’s something that you don’t enjoy doing or don’t have time for, respectfully decline the offer. Just say no.